Our watercolor bright meadow invitation is embedded with wildflower seeds, conveys the unique and green of a countryside natural pasture. Perfect for the artistic couple celebrating nature. Give the greenest wedding invites with our Bright Meadow cards. 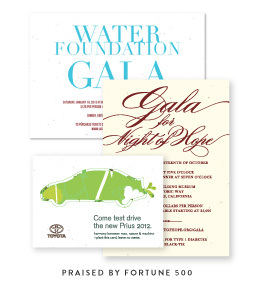 Matching stationery available: menus, programs save the date and thank you notes. What a better way to share your love to someone. 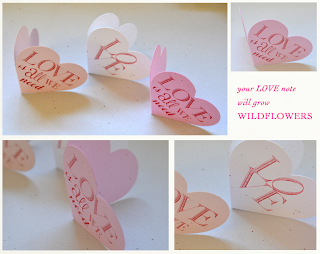 Send your valentine a beautiful heart shaped card. This affectionate card is made with 100% recycled paper, handmade, and embedded with wildflower seeds. A great way to preserve our beautiful Earth! It is one of our newest cards and just in time for Valentine's Day! 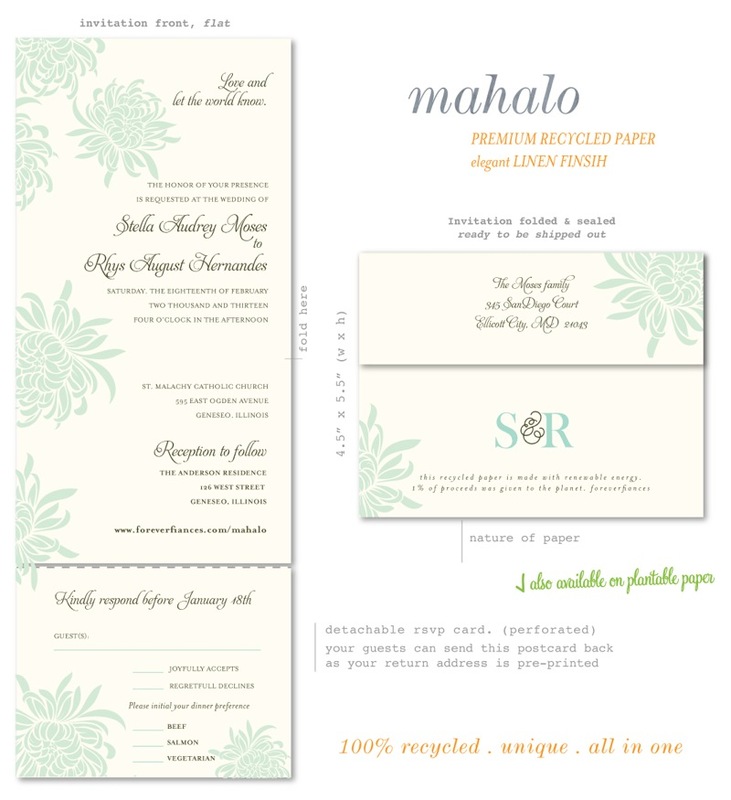 Malaho is the Hawaiian word for Thank you and is our newest Destination Wedding invitation. 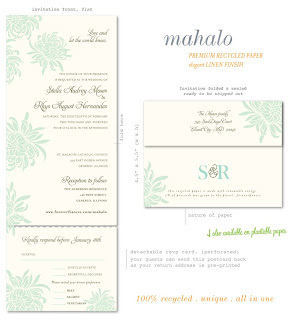 Exotic and floral, this is the perfect tropical invite for beach lovers! Brittany and John are getting married in wine country! They fell in love in Sonoma where they used to escape for the weekend (from San Fran). The Old Vine collection was a natural choice. 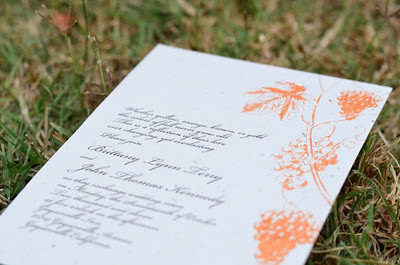 They loved the feel and soul of our cream seeded paper, embedded with wildflower seeds. (they hesitated with our new garden herbs paper in white). Discover our vineyard wedding invitations. Also available in timeless Send n Sealed invitations (our popular All in One format). Grow wildflowers as your family grows! Check out our new seeded paper Baby Shower invitations. 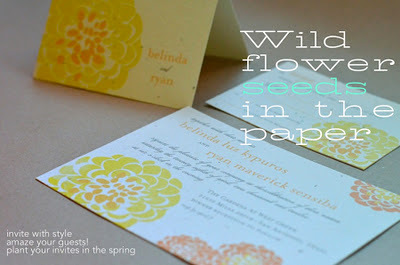 These plantable invitations will bloom into gorgeous wildflowers. Featuring our new Twin Baby Shower invite, we have many more to choose from. 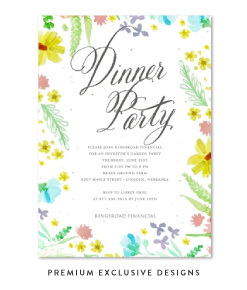 The Antique Lettering card is displayed in yellow and wild berry on white seeded paper. Wildlfowers seeds at their best! Featuring a timeless collection - Sweet Seeds! Belinda and Ryan chose it in citrus on cream seeded paper (my favorite :). Thank you Jessica & Steve. Congratulations on your wedding! Much Love. 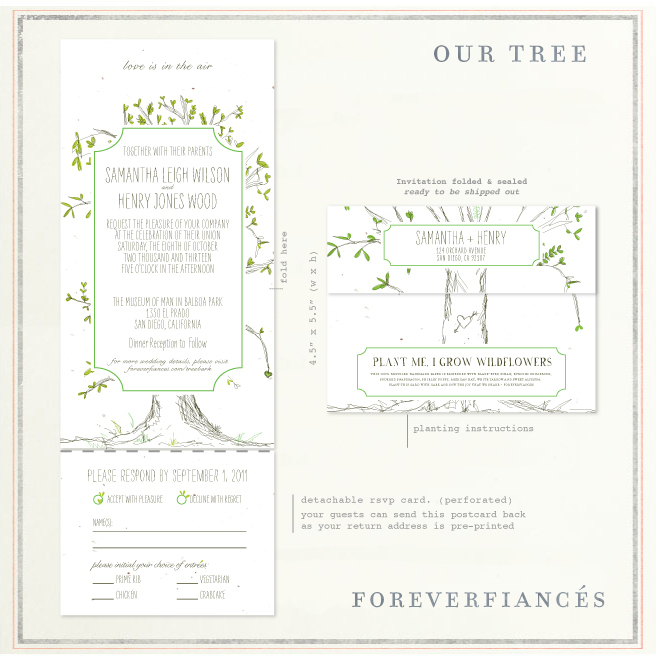 This is their invitations - La Foret Tree Wedding Invitations. Thank you to our beautiful brides who have voted for us in 2011, on weddingwire.